This incredible image of Earth taken from space marks the start of new analysis that could change the way cities are built. 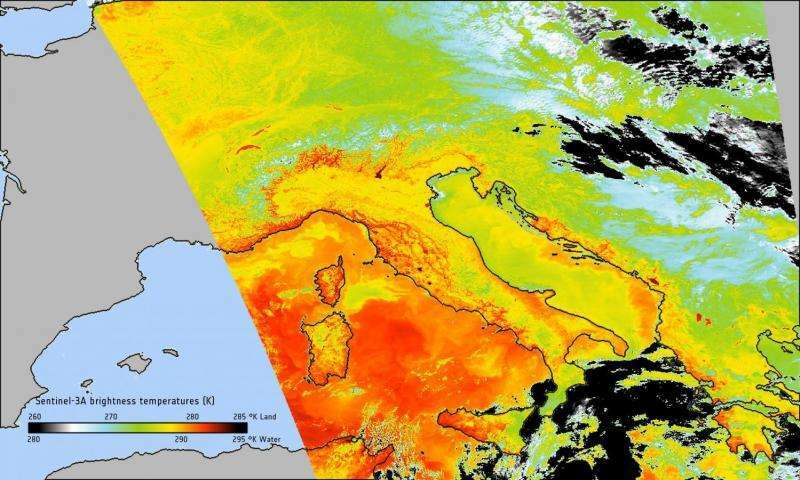 The European Space Agency (ESA) has at last started revealing infrared images captured by its Copernicus Sentinel-3 satellite, after a nine-month wait for the equipment to cool to the required operating temperature of -200 degrees Celcius. The data will allow scientists to identify areas of heat on land and oceans to learn more about how expanding cities create 'urban heat islands' and how areas can recover from fires. 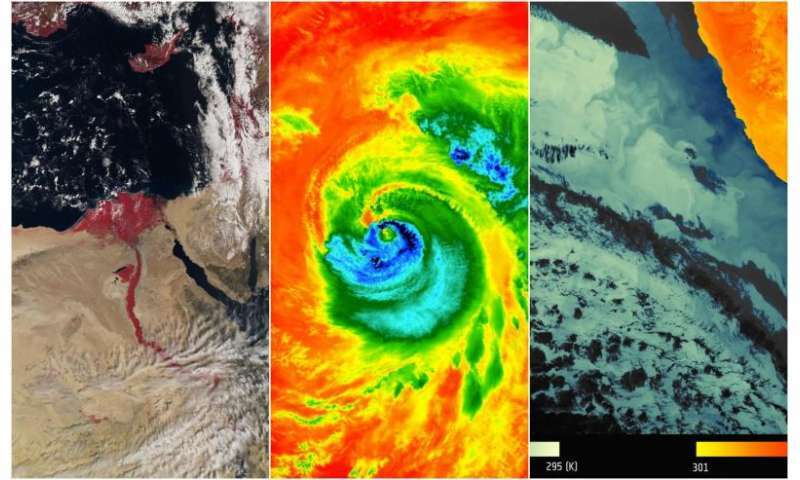 The images were made possible thanks to intricate infrared camera filters manufactured at the University of Reading, which were assembled within the Sea and Land Surface Temperature Radiometer (SLSTR) instrument on board the satellite when it was launched in February. Dr Gary Hawkins, associate professor in the Infrared Multilayer Laboratory at the University of Reading, said: "Future decisions on development and agriculture will soon be informed by the images made possible by our filters, which reveal at last the dramatic changes occurring on land and sea. "The filters look similar to simple ones found in digital cameras, but the process of making them is anything but. They require complex manufacturing techniques to build up materials in extremely thin layers on lenses capable of withstanding trips into space." Further processing will be now carried out by scientists worldwide, including Professor Chris Merchant in Reading's Meteorology department, to turn the infrared data into accurate surface temperature maps. These will be made available to the public from early 2017. Urban heat islands are pockets of air that develop around cities and are consistently significantly warmer than the surrounding area due to human activity. This can cause increased rain in areas close to cities and warmer water that can damage ecosystems when it flows into surrounding rivers. Developers can reduce this effect through techniques such as using lighter-coloured surfaces that absorb less heat or 'green roofs', which are covered in vegetation. Work on the filters used to take these images began in 2009 and required around 50 thin-film layers of germanium and silicon-monoxide just two-thousandths of a millimetre thick deposited onto sapphire. Other events captured on camera thanks to the filters include Hurricane Matthew, wildfires in Siberian forests and a volcanic eruption in Mexico.